Disclaimer: This is a curated piece written by TNJN staff writer Jonathan Desai. Follow up story to come. On April 15, the news broke that the Notre Dame Cathedral in Paris had caught on fire. Nine hours later, the 400 firefighters on scene gained control of the blaze that was ravaging through the cathedral. The cathedral has significance as a landmark for both French and the greater European culture, religion and architecture. University of Tennessee, Knoxville sophomore Savannah Walker visited the Notre Dame Cathedral as part of a school trip when she was in high school. Notre Dame is home to the Catholic Church. While Notre Dame is no longer an active parish, it is the home of Paris’ Archbishop Michel Aupetit and is still used for evening prayers and Penance. The day of the fire was also the first day of Holy Week. 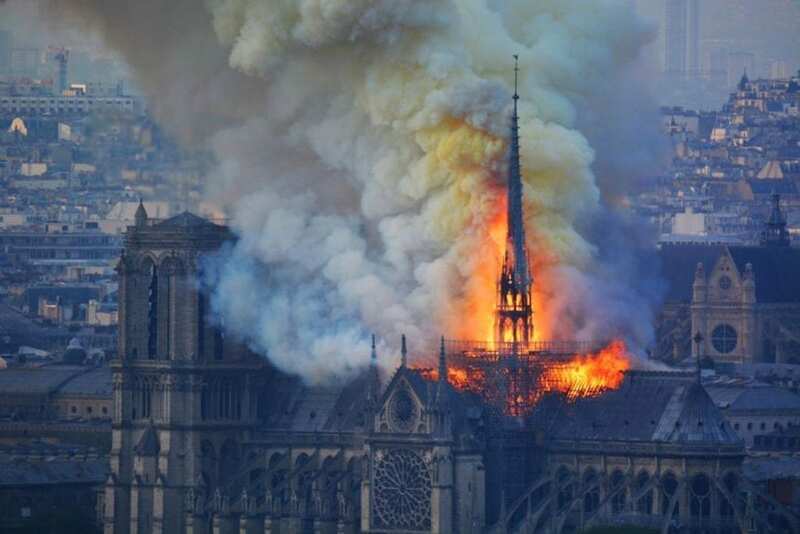 “We are a people of hope and of the resurrection, and as devastating as this fire is, I know that the faith and love embodied by this magnificent cathedral will grow stronger in the hearts of all Christians,” DiNardo said. As a part of Holy Week tradition, the cathedral was planning to display a variety of Christian relics, including what is believed to be the Crown of Thorns worn by Jesus Christ during his crucifixion. During the emergency recovery process, firefighters and other responders safely recovered this relic among others. As undisputed as its role in Catholicism is, so is that of French history, Notre Dame was the home of many notable coronations, such as Napoleon Bonaparte and the recognition of Joan of Arc. The cathedral survived looting by angry mobs during the French Revolution. Additionally, it made it through various political battles as a major stronghold for the Catholic Monarchy. “It has survived so much — from the French Revolution to Nazi occupation—to watch its devastation is excruciating,” the Metropolitan Museum of Art said in a statement. Built on the ruins of earlier churches, the construction of Notre Dame lasted almost 200 years. Due to its construction during the height of the Gothic Period, Notre Dame hosted all of the key elements of the style that made is so recognizable and unique, such as Gargoyles and its stained glass. The stained glass is one of Walker’s favorite parts of the cathedral. “I can’t describe how pretty it is in person. Pictures do not do it justice at all,” Walker said. As French officials decide the best way to go about rebuilding, donations have already exceeded $700 million. French president Emmanual Macron refuses to see the fire as a discouragement. “I’m telling you all tonight — we will rebuild this cathedral together. This is probably part of the French destiny. And we will do it in the next years,” Macron said. “I think it brings it [Cultural significance] to a new level. I mean I think we all tend to kind of mind our own business and focus on what’s happening in our own state or country, and when something significant happens like this it makes you really sad and want to show emotion toward the situation and be sympathetic,” Walker said.